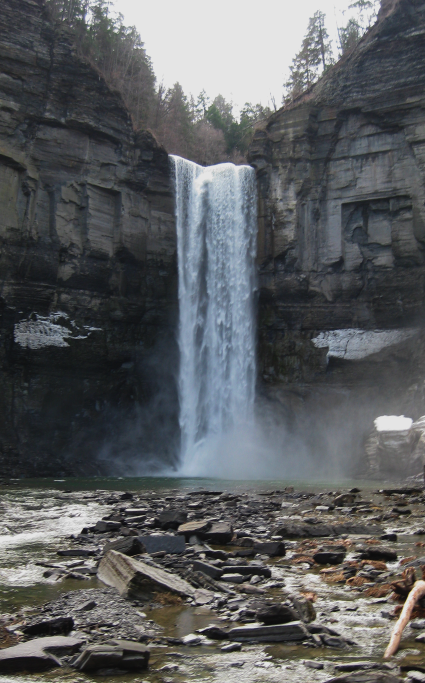 The Finger Lakes region has several awesome parks with waterfalls. Little-known Filmore Glen is another example of the beautiful work of the glaciers that passed through 10,000 years ago and left us the “gorgology” the makes the Finger Lakes region so special. 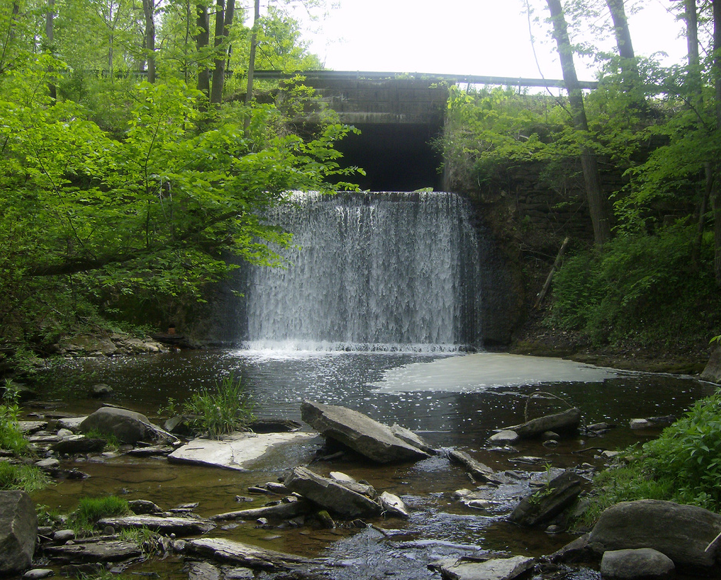 The park has five waterfalls, several miles of great trails and 60 campsites plus a natural stream-fed swimming hole. Honeoye Falls describes itself as “a friendly little village situated on the upper falls of Honeoye Creek approximately fifteen miles southeast of Rochester, New York.” The village has been a productive center of commerce since the late 1700’s, when mills and factories began to pop up along the upper and lower falls. 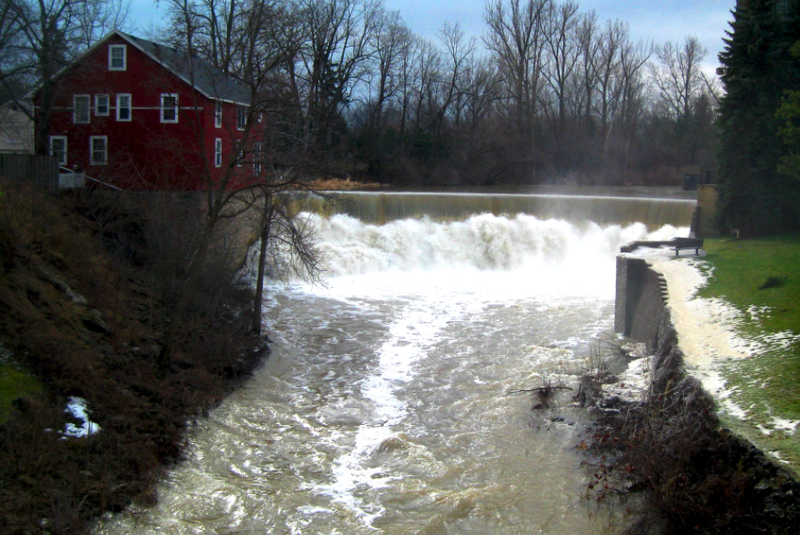 It changed names many time before becoming known as Honeoye Falls in the mid-1800s. Located right in the four corners of town is the Honeoye Falls Brewery Pub & Grill, which has been a tavern/pub, & or a restaurant for over 70 years, while the building itself has housed everything from a millinery, shoemaker, & a bakery, over the previous 70+ years. 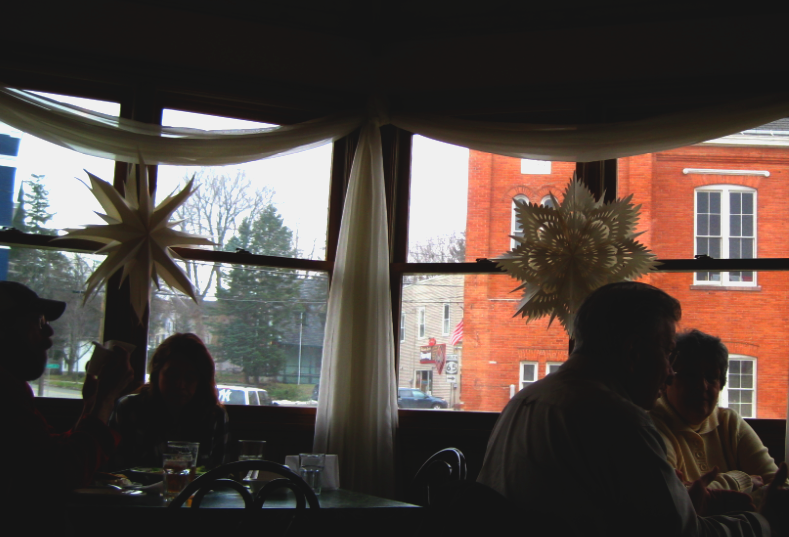 The Brewery Pub and Grill offers the only view of scenic Honeoye Falls while you enjoy casual dining. You can it outdoors on the deck during the warm months, or enjoy the ambiance of a fireside meal in the enclosed gazebo complete with a fireplace. We visited on a quiet wintry Saturday. I was interested in sampling the 13 Lucky Drafts: a changing selection of microbrews from across the US, and a burger — for which they are well-known. 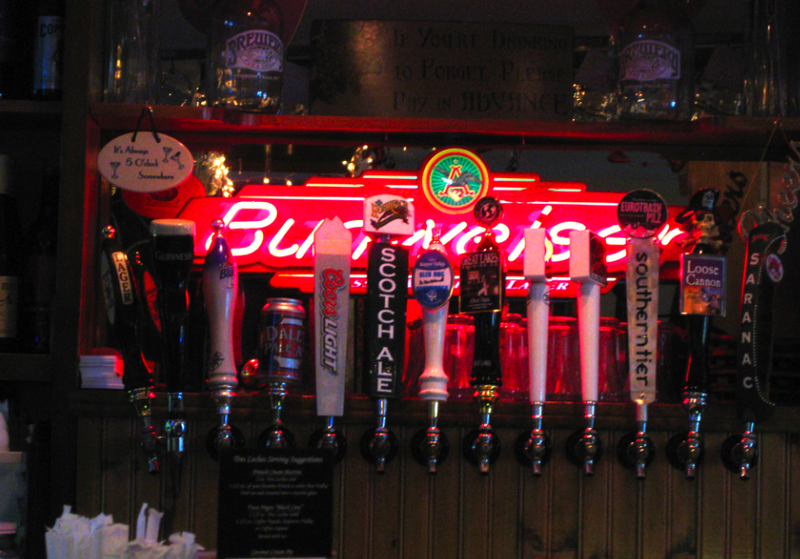 It was a tough choice — should I try the Southern Tier Eurotrash Pliz or the 3 Heads Brewery Loopy. Better try them all. Charlie ordered the “No Bun Mo Fun Burger” — 8 oz. Angus Beef atop a mound of French Fries with Chili, shredded Cheddar, scallion & sour cream. I ordered the Brew Burger which I believe was designed to maximize my beer quaffing experience. After we enjoyed our lunch we stopped at the bar for another round while Syracuse University Basketball was on TV. The bartender knew everyone by their first name and the cast of regulars made us feel right at home. While at the bar we were also able to meet the chef, Kirk, who was an old friend of Charlie’s friend Ginger. 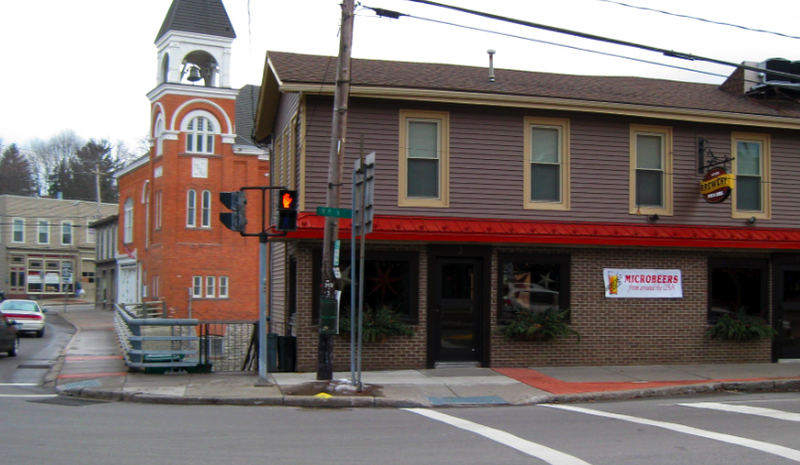 The Brewery Pub is located at 8 West Main Street in Honeoye Falls. Many of you may know “Cracker Box Palace” as a song from a George Harrison album. “We welcome you to Cracker Box Palace, we’ve been expecting you..” That song is a memory from my childhood. If you want to make some more great memories for your kids, bring them to the Finger Lakes version of Cracker Box Palace. It’s a perfect family destination with many kid-friendly activities throughout the year. Cracker Box Palace is a not for profit, no-kill rescue and rehabilitation shelter for over 180 farm animals. Animals of every kind come to recover from illness, neglect or abuse. Once given necessary adjustment time and veterinary care, animals are available for adoption. In early 2011, Cracker Box Palace achieved ownership of a beautiful piece of property — Alasa Farms. This farm was formerly a historic Shaker community in the early 1800’s. Some years later, it served as a migrant camp. Today it is home to horses, geese, ducks, chickens, rabbits, goats, sheep, several breeds of pigs, llamas and (see the video) donkeys. 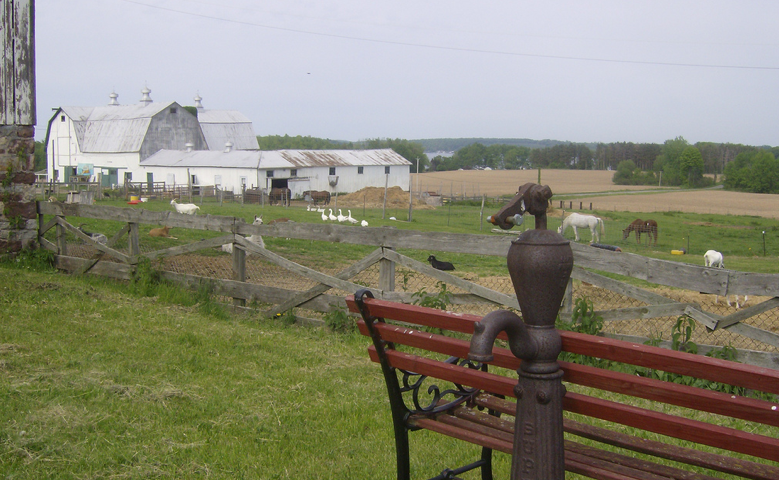 The farm is funded totally through memberships, sponsorships, donations, and grants. If animals cannot be placed in suitable adoptive homes they will stay on the farm. They also offer a sponsorship program for people who love animals but do not have facilities to care for them. Cracker Box Palace also offers a variety of Youth Programs for scouts, special needs groups, and school community service projects. The farm has apple orchards as well. The month-long, Apple Pic-n-Picnic starts around the 2nd week of September with U-Pick apples from dwarf trees. Alasa Farms also participates in the annual Apple Tasting Tour. 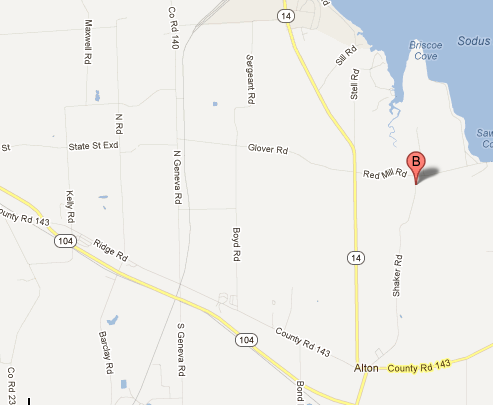 Alasa Farms is located just southwest of Sodus Bay. The property and surrounding land is very beautiful and contains many waterways that flow to the bay. With the assistance of the Genesee Land Trust, Alasa Farms has ensured that their 627 acres of forests, wetlands, working crop lands and orchards, will remain open land. 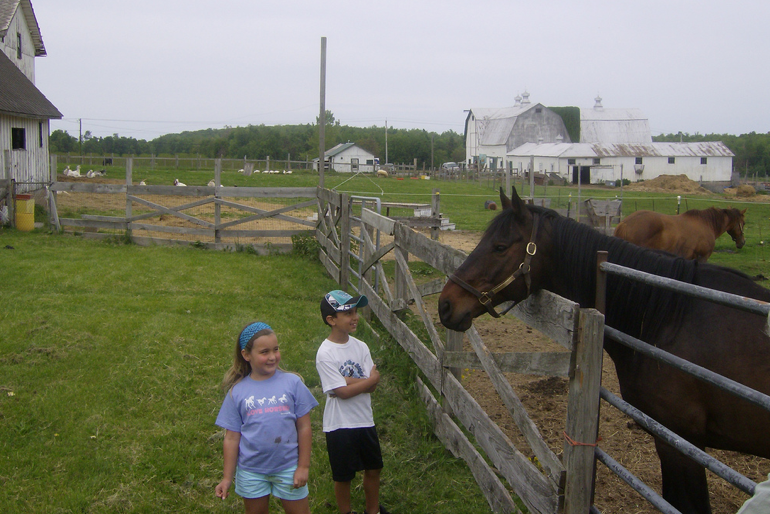 By spring of 2012 there will be trails through the woods and around the farm marked for horseback riding and hiking. 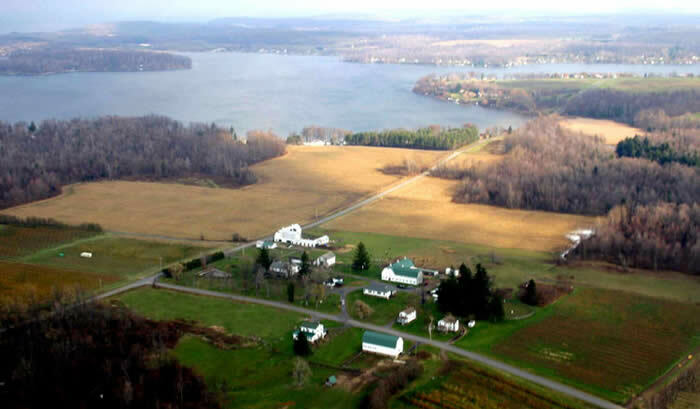 Additionally, The Nature Conservancy has acquired another 500 +acres between the Farm and Sodus Bay, including 800’ of frontage on the bay. It will remain undisturbed and eventually be transferred to New York state for inclusion in a wildlife management area. Contact us to inquire about tours, call 315.483.2493. Cracker Box Palace on Facebook. Ithaca may be best known as the home of both Cornell University and Ithaca College, but the city offers a cornucopia of attractions for outdoors enthusiasts. 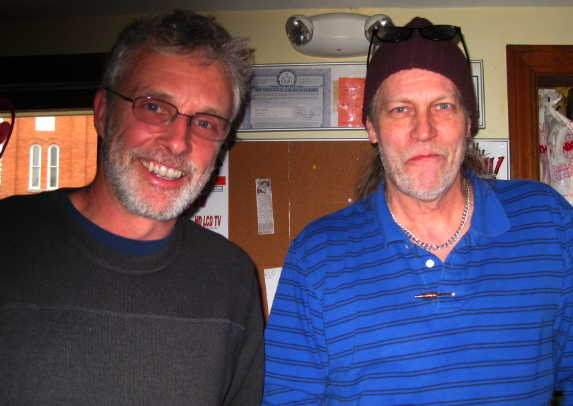 Besides great food, beer and gorges sites, Ithaca has a great music scene. Letchworth State Park, renowned as the “Grand Canyon of the East,” is one of the most scenically magnificent areas in the Finger lakes Region. The park comprises 14,350 acres, along 17 miles of the Genesee River, 35 miles South of Rochester, New York and 55 miles East of Buffalo, New York.